1. The tomato is a fruit originally from what is now Peru, they were first used as food by the Aztecs in Southern Mexico. The aztec name for a tomato meant `plump thing with a navel´. Even though tomatoes are botanically classified as a fruit because they have seeds and grow from a flowering plant, the United States Supreme Court classified tomatoes as a vegetable based on the fact that they are usually eaten with dinner and not a dessert so they could be taxed. 2. China is the world’s largest producer of tomatoes, producing a quarter of the global total in 2009. The second largest producer is USA and the third India. 3. There are around 7500 tomato varieties around the world. Most varieties are red although tomatoes can also be green, yellow, orange, pink, black, brown, white or purple. 4. Tomatoes are a good source of antioxidants which benefit heart health and help protect against types of cancer. Surprisingly, cooked tomatoes are in fact more healthy than raw ones, as the cooking process releases more beneficial chemicals. Additionally, tomatoes are a good source of calcium, potassium, vitamin A, and vitamin C.
5. La Tomatina in Spain is the largest tomato fight in the world. Approximately 40 00 people gather and approximately 150 000 tomatoes are thrown. The first tomatoes were brought to Europe in the 1500’s. 6. 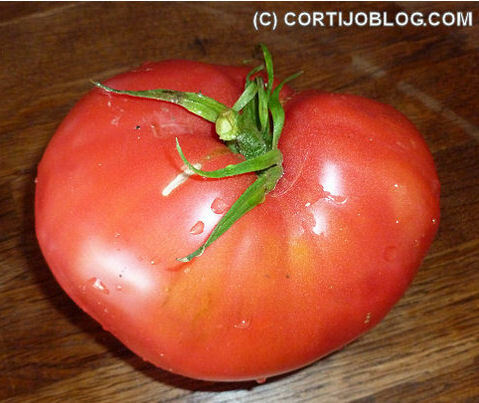 Holding the Guinness World Record for heaviest tomato is a tomato weighing 3.51 kg, or 7 lb 12 oz. It was grown in 1986 in Oklahoma, USA. Tomatoes increase in weight as the ripen, even after picking. 7. Eating tomatoes can help to block UV rays, making it a sort of natural internal sunscreen. 8. Tomatoes are related to potatoes, ground cherries, red pepper, eggplant, and nightshade. Because of their relation to nightshade, people used to be afraid to eat tomatoes, but they would still grow them for their looks. 9. Tomato seeds have actually been grown in space! 10. Tomatoes can be used for beauty! Because of their lycopene, vitamin A, and acid they can be used for acne treatment, facial toning, hair cleansing and moisturizing, reducing pore size and wrinkles, and treating oily skin! Lycopene is also important for the prostate health of men. Previous PostPrevious How to learn a foreign language? Getting a dog instead of having a child – A Comparison. Interesting facts about David Bowie. Travelling solo in Europe – A year abroad. Is the booking.com afilliate program any good? Basic facts about the Schengen. What is wrong with yummy? Susan Horton on How to learn a foreign language? Language Exchange - Ariel's Guide to Madrid on How to learn a foreign language?